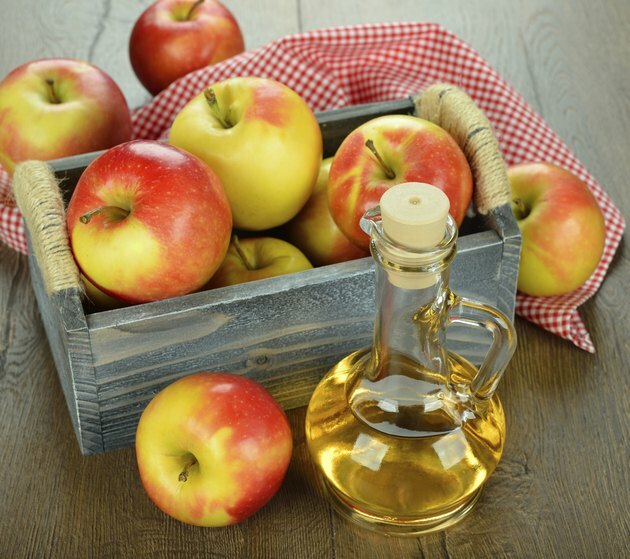 For hundreds of years, apple cider vinegar has found its way into a variety of home remedies and cures for everything from skin conditions to stomach problems. It is also cited a potential kidney infection cure. Unfortunately, drinking apple cider vinegar while you have a kidney infection could worsen your condition. If you think you have a kidney infection, see a doctor immediately. Kidney infections often start as an infection somewhere along the urinary tract. Causes include catheter use, kidney stones, prostate enlargement and urinary tract abnormalities, according to the National Kidney and Urologic Diseases Information Clearinghouse. Symptoms include blood in the urine, back pain, nausea, vomiting and fever. Apple cider vinegar carries numerous healthy qualities. This vinegar contains malic acid, which may prevent bacteria from flourishing in the intestines. According to the Global Healing Center, this may make it less likely for bacteria to attach to the kidneys and cause an infection. The malic acid in apple cider vinegar is thought to play the largest role in preventing kidney infections. According to the Global Healing Center, apple cider vinegar has a pH of around 3.0, which helps create an environment inhospitable to bacteria. While apple cider vinegar may help prevent an infection, it will not cure one. Kidney infections can be extremely dangerous and are treated with antibiotics. You cannot treat these infections with apple cider vinegar or any other home remedy. According to the National Kidney and Urologic Diseases Information Clearinghouse, kidney infections can cause severe pain, fever and vomiting. If severe, you may need to be hospitalized to receive fluids and medication. Always see your doctor right away if you think you have a kidney infection. Does Cranberry Juice Treat Kidney Infection? What Are the Causes of Newborns Not Eating?